Dr. Craig Baker is a recognized thoracic and cardiac surgeon in Los Angeles, California. He received his medical diploma from Georgetown University School of Medicine in 1995. 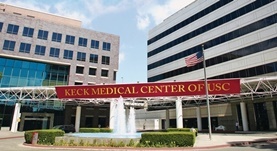 Dr. Baker completed his medical education with a residency in general surgery and a fellowship in thoracic surgery, both of them at the University of Southern California – LAC+USC Medical Center. He is certified by the American Board in thoracic and cardiac surgery. His subspecialty is general surgery. This doctor works in several hospitals in the area, including: Keck Medical Center of USC, Methodist Hospital of Southern California, Children's Hospital Los Angeles and Huntington Memorial Hospital. He was awarded the honors ACS Fellow and Super Doc. He has published 6 articles in collaboration with other doctors. He is a member of the American College of Surgeons. Dr. Craig Baker has contributed to 3 publications. Gamification in thoracic surgical education: Using competition to fuel performance. Mokadam, N. A.,Lee, R.,Vaporciyan, A. A.,Walker, J. D.,Cerfolio, R. J.,Hermsen, J. L.,Baker, C. J.,Mark, R.,Aloia, L.,Enter, D. H.,Carpenter, A. J.,Moon, M. R.,Verrier...; J. Thorac. Cardiovasc. Surg.. 2015 Sep 01. Bowdish, M. E.,Hui, D. S.,Cleveland, J. D.,Mack, W. J.,Sinha, R.,Ranjan, R.,Cohen, R. G.,Baker, C. J.,Cunningham, M. J.,Barr, M. L.,Starnes, V. A.; Eur J Cardiothorac Surg. 2015 Mar 10. A framework for professionalism in surgery: what is important to medical students? Sullivan, M. E.,Trial, J.,Baker, C.,Inaba, K.,Etcheverry, J.,Nally, M.,Crookes, P.; Am. J. Surg.. 2013 Nov 19.